You mean “project_directory/.rvmrc” cause in section 2 you said that this file is located at the root of the project directory, considering the fact that there is an app folder at the root/project directory. it might cause a sort of disambiguity. Enough with the criticism. I have just seen your reply on the other post. 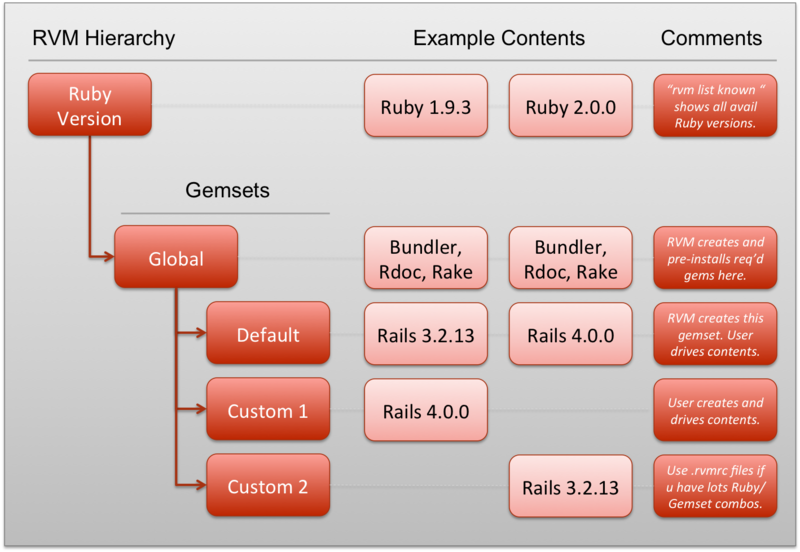 I have to admit, you gave me a very concise explanation of rvm/gemset in it that led me to do more research and learn a lot on rvm specifically and ruby/rails generally. It also led me to the http://railstutorial.org book tutorial, which I think is an invaluable resource. If any beginner, or even a (rails) developer, just read the first chapter, he will learn a lot. Trust me. Since I have already some background ( well, I have learned a lot on rvm in 5 days lol), this post was obviously less useful to me than the other one. However, I like the way it is structured and I think it would have helped me if I had read it few days ago. The four points you cover are extremely important and every rails developer should apply them ( especially the first 3). Chedli – thank you very much reading, commenting, and providing such detailed (and correct) feedback. I have updated the post accordingly. Kindest regards. Thanks a lot for both tutorials on rvm, this was most helpful resource to understand how to use it. I successfully set up my multiple rails versions etc., looks all clean and easy to use and makes me a happy dev. Thanks Chemist. Feeling comfortable with RVM is a great foundation for tackling Rails. Thanks for reading and commenting.